Part of the acclaimed Eminent Lives series, Machiavelli is a superb portrait of the brilliant and revolutionary political philosopher—history’s most famous theorist of “warfare, terror, murder, and bloodshed”—and the age he embodied. Ross King, the New York Times bestselling author of Brunelleschi’s Dome, argues that the author of The Prince was a far more complex and sympathetic character than is often portrayed. 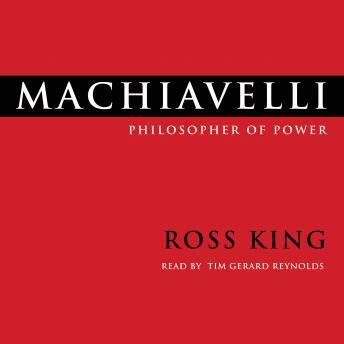 A great and interesting book about the life of Machiavelli, having read the Prince and the Art of War, I was without context and this gave it all and more. I learned a lot.